One of the most amazing and counter-intuitive results in mathematics was proved in 1924 by two Polish mathematicians, Stefan Banach and Alfred Tarski. Banach was a mathematical prodigy, and was the founder of modern functional analysis. Tarski was a logician, educated at the University of Warsaw who, according to his biographer, “changed the face of logic in the twentieth century” through his work on model theory. 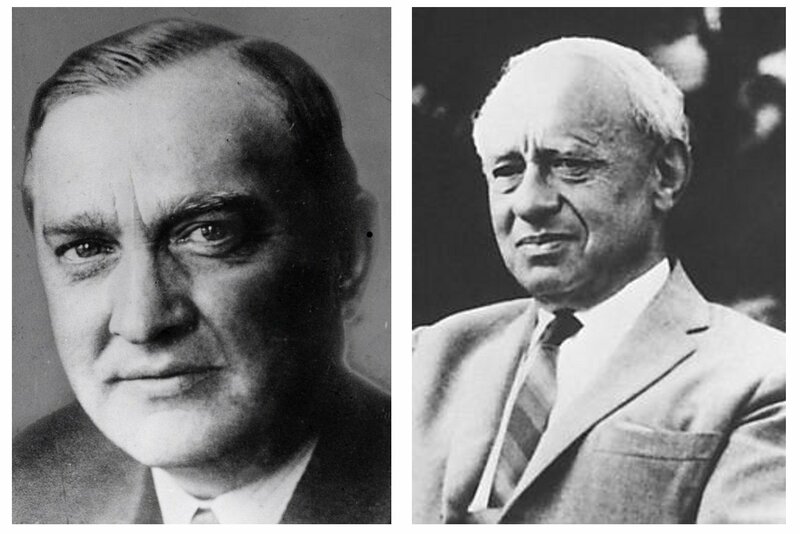 Stefan Banach (1892–1945) (left) and Alfred Tarski (1901-1983) (right). Mathematics is founded on axioms, fundamental assumptions that are not proved but that are taken as being true. Frequently, they are self-evident, and their validity causes no controversy. But some of the deeper axioms are less obvious and have given rise to extensive debate. Moreover, an axiom that appears obvious may have implications that are surprising and hard to accept. One such is the Axiom of Choice. The Axiom of Choice states that, given any collection of sets, we can choose one element from each of them and form a new set. This does not appear unreasonable: from all decks of cards, choose the ace of spades; from all sets of natural numbers (positive whole numbers), choose the smallest number in each set; and so on. But despite its intuitive reasonableness, the Axiom of Choice cannot be deduced from more fundamental assumptions, and it certainly has amazing consequences, one of which is the Banach-Tarski paradox. Banach and Tarski proved that, if the Axiom of Choice is assumed, a spherical ball can be cut into a finite number of pieces, and then reassembled into a ball of larger size. Colloquially, a pea can be dismantled and reconstructed to be the size of the Sun. This result is now called the Banach–Tarski theorem. Two sets of points are “equivalent by finite decomposition” if we can divide the first into a finite number of disjoint parts and rearrange them into the second. Reassembly involves only moving the parts around, without changing their size or shape. Banach and Tarski showed that a spherical ball is equivalent by finite decomposition to a larger ball. So, starting with a smaller volume, we finish with a larger one. This seems paradoxical: if we could add together the volumes of the parts, the sum could not be equal to that of both the smaller ball and the larger one. But here is the crux of the issue: volume is determined by what mathematicians call the Lebesgue measure, and some of the parts are complicated in structure and cannot be given any Legesgue measure. They are non-measurable: it is not possible to assign a volume to them in a meaningful way. A ball decomposed into a finite number of parts and reassembled into two identical copies [Image Wikimedia Commons]. Another consequence of the strange theorem of Banach and Tarski is that a ball can be split into parts and these can be used to construct two balls, each having the same volume as the original. This would seem to defy logic, yet it is a rigorous mathematical consequence of the Axiom of Choice. Of course, it is impossible to carry out such a decomposition for a physical sphere. The theorem of Banach and Tarski is one of many paradoxical results that arise when we contemplate the infinite. Wapner, Leonard M, 2005: The Pea and the Sun: a Mathematical Paradox. A K Peters, Ltd., ISBN 1-56881-213-2 [Review here].